The Grass Is Always Greener... When You Choose Greener Grass! Greener Grass takes a proactive approach to lawn care. Our methods are designed to address the cause of the problems before they occur, minimizing the need to react to symptoms. Our Lawn Fertilization Program, when combined with proper lawn care practices, handles the causes of the most common lawn issues from the ground up. Leaving you with greener grass. Proper soil pH is extremely important to any lawn. Beneficial bacteria, bacteria that prevents and controls pests and promotes root growth, prefers slightly alkaline soil. Unfortunately, the overuse of synthetic chemicals and pesticides cause the soil to become extremely acidic, preventing the growth of those helpful bacteria. At Greener Grass Organic Lawn Care, we can develop a plan to adjust your soil’s pH level and over time, improve your soil’s pH. We begin by testing your soil’s pH, then we make lime or gypsum applications based on the results of the pH test. 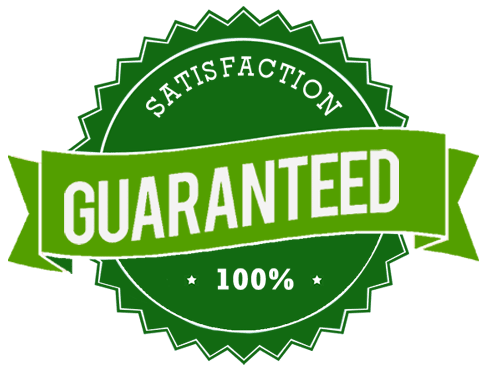 At Greener Grass we’re committed to 100% organic products, which means you can be sure that your family and the environment are safe. At Greener Grass, we understand that a beautiful lawn is a healthy lawn. We also understand that at the core of your healthy lawn is a solid soil pH. We are dedicated to the safety of your family and the environment, and we help to ensure that safety through strictly organic products and practices, including our pH adjustment process. Synthetic chemicals, often present in so called “organic” products increase the acidity of your soil and cause more damage. Greener Grass uses only 100% organic products, so you can be sure your family is safe and your soil stays alkaline. The terms organic and natural are largely unregulated, despite the Organic Act regulations. Many companies who report that they provide organic services are actually using products that contain large quantities of synthetic chemicals. Greener Grass is dedicated to entirely organic products. We believe that if it needs to be developed in a laboratory, it isn’t organic and we won’t use it. Your family matters, which is why we will always be committed to 100% organic products. 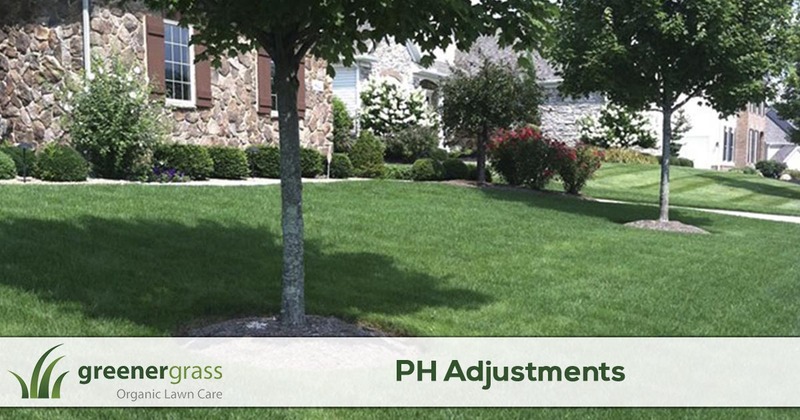 PH adjustment is one of the most important factors in your lawn’s health. It promotes the growth of good bacterial necessary for healthy, lush lawns. Don’t let chemicals leach away your beautiful yard, contact Greener Grass today and enjoy your beautiful lawn all season long. Don’t wait, request a free quote and trust that your family will be as healthy as your lawn. 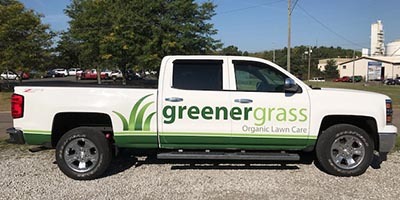 Greener Grass was founded in Canton, Ohio with the mission to provide honest, effective lawn care services in Stark and Summit counties.